A broken AC unit can leave you feeling hot under the collar. You want honest repair at a fair price, but most AC repair companies make it tough to get a price until after they’ve done the work. That’s where Clear the Air steps in. 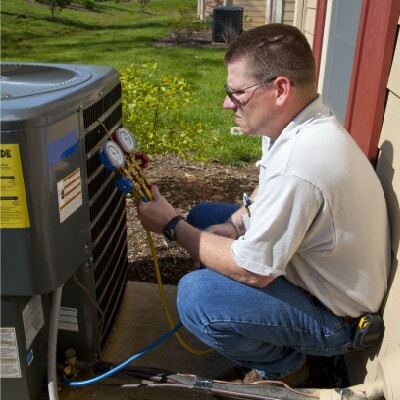 We also offer a full variety of other heating and air conditioning services! Air Conditioner Repair – Stay cool no matter how bad the weather. Heating Repair – We’ll keep you cozy! Seasonal Maintenance – Get maintenance today and prevent breakdowns. 24-Hour Emergency Repairs – We’re here for your emergency comfort needs! You don’t have to live with subpar heating or cooling anymore with our experts. Your next heat pump, air conditioner or furnace can live up to your expectations. All you have to do is contact us. Why Do Homeowners Pick Clear the Air? We designed our Upfront Pricing Policy to make air conditioner repair simple. Our NATE-certified technicians will explain the work that needs to be done and quote you a price before they start your repair. Clear the Air has been keeping San Leon cool for over 25 years. We think comfort shouldn’t be costly, and we stand behind all of our work with a 100% satisfaction guarantee.